By late Monday, the thesis had been viewed more than 60,000 times, a Cambridge official says. He adds, "Other popular theses might have 100 views per month." 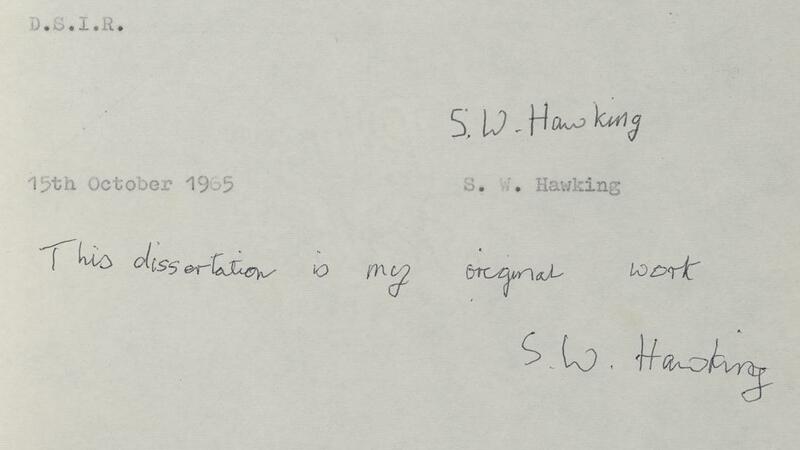 Interest in "Properties of Expanding Universes" is at an all-time high: Stephen Hawking's doctoral thesis of that name has crashed Cambridge University's open-access repository on the first day the document was posted online. The Cambridge Library available for download from its website, from what it called a high-resolution "72 Mb" file to a digitized version that's less than half that file size. A "reduced" version was offered that was even smaller — but intense interest overwhelmed the servers.